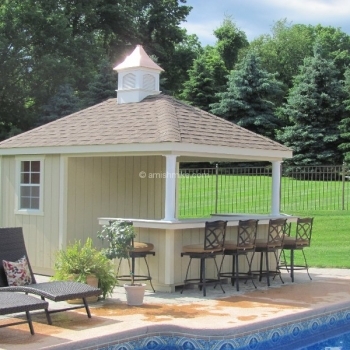 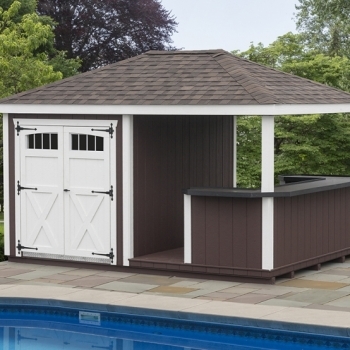 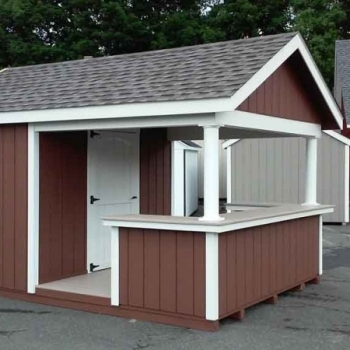 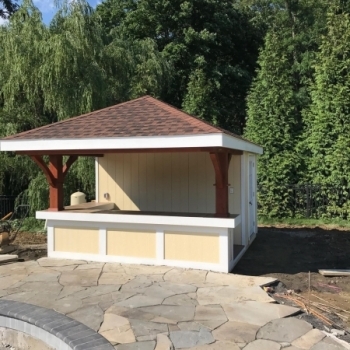 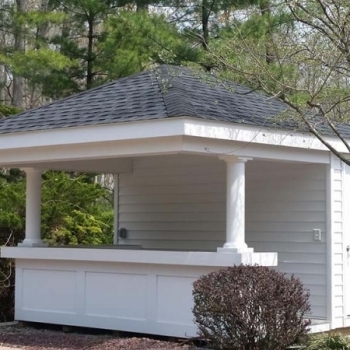 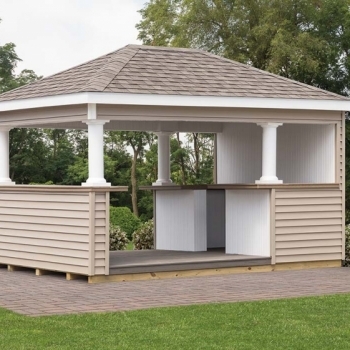 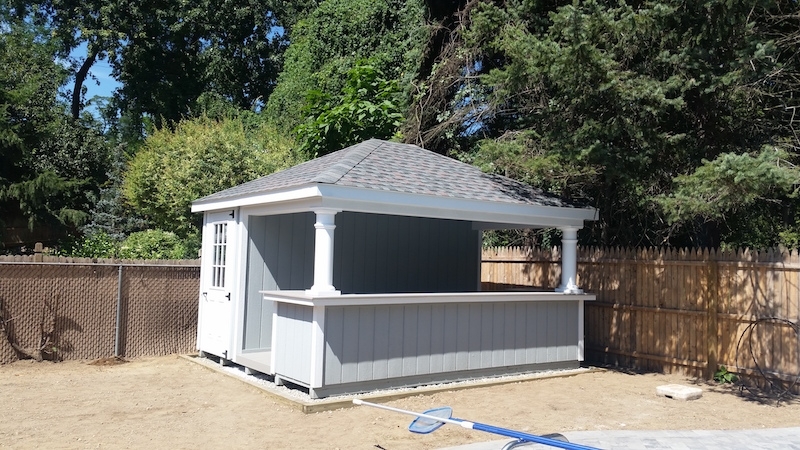 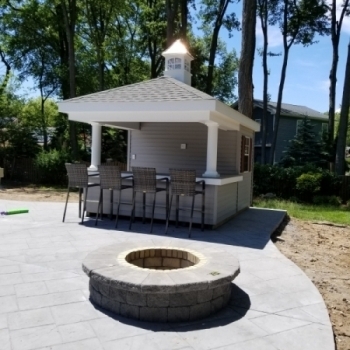 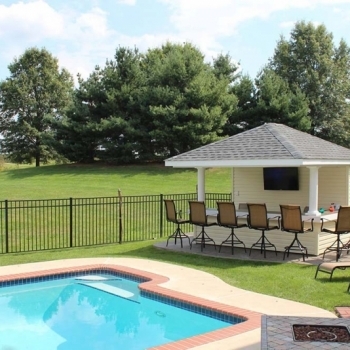 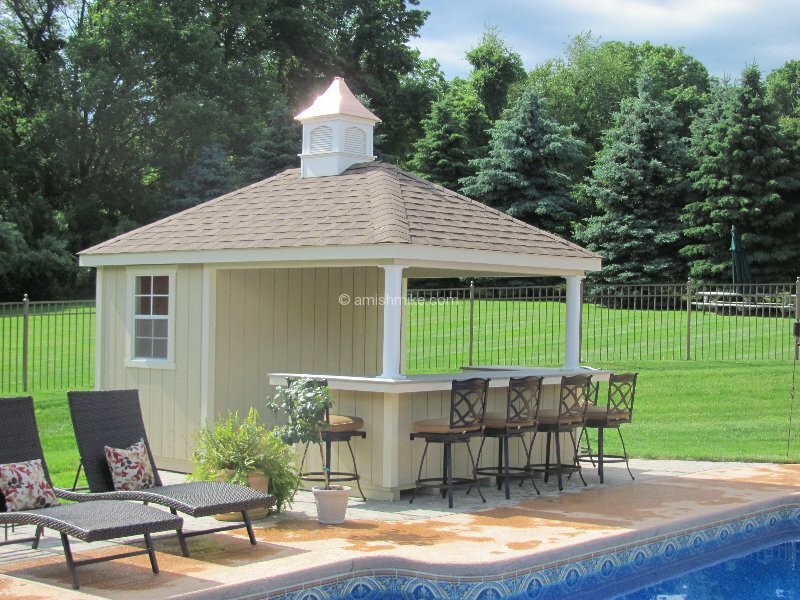 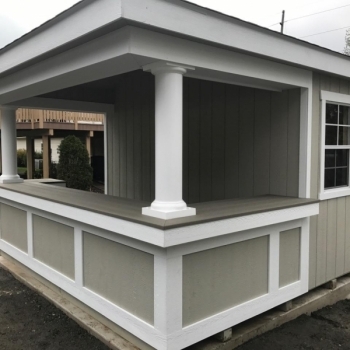 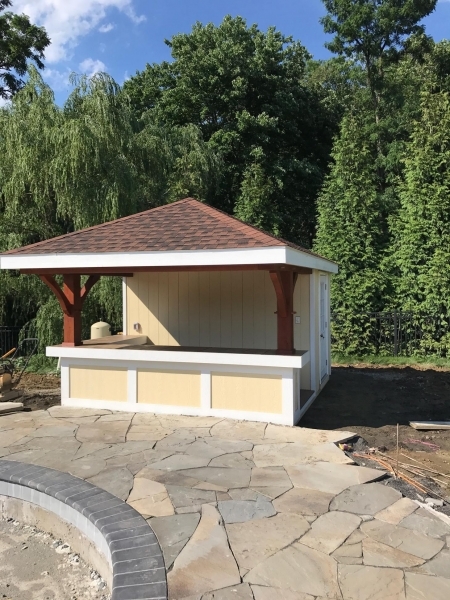 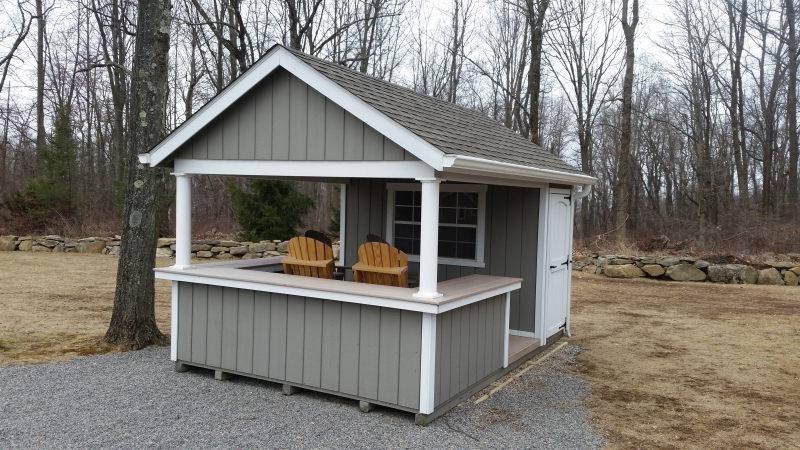 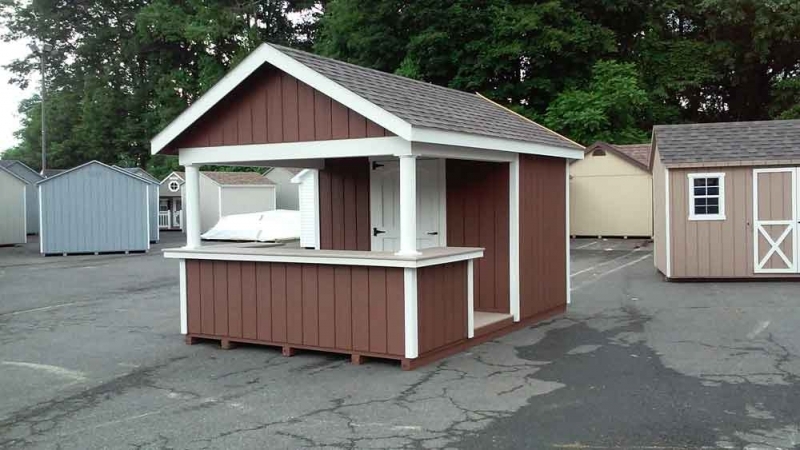 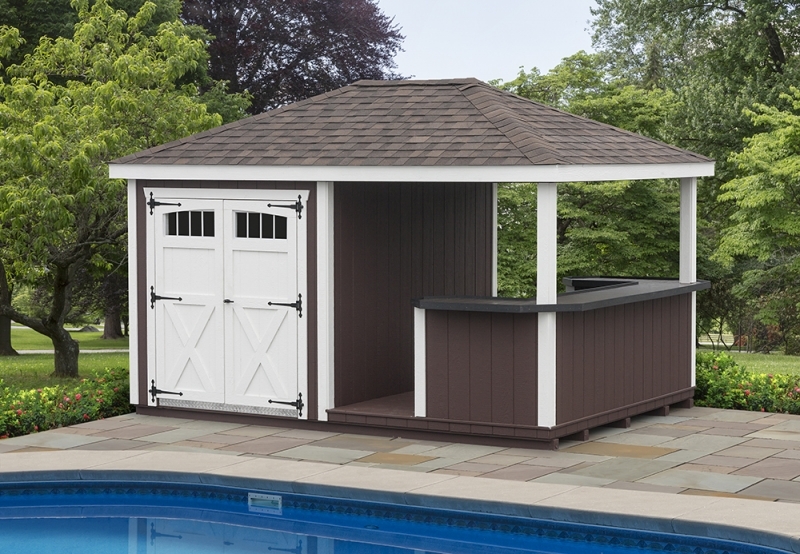 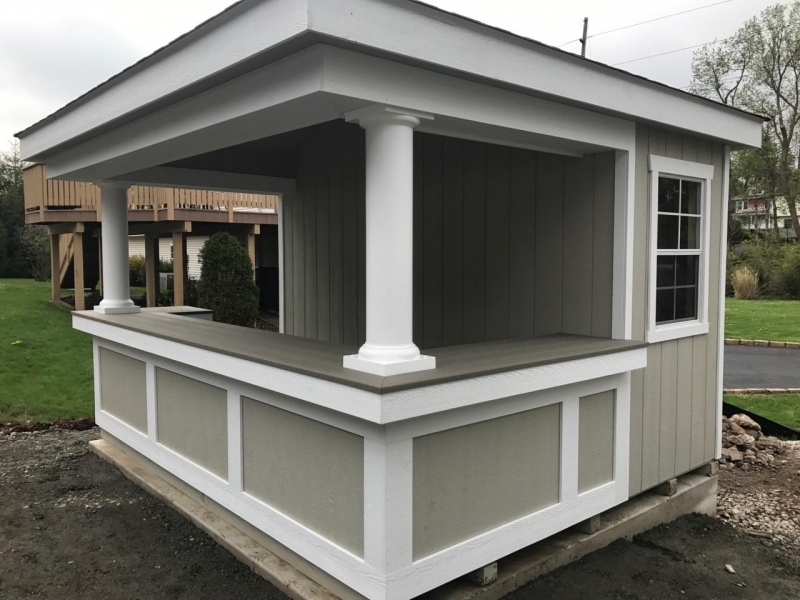 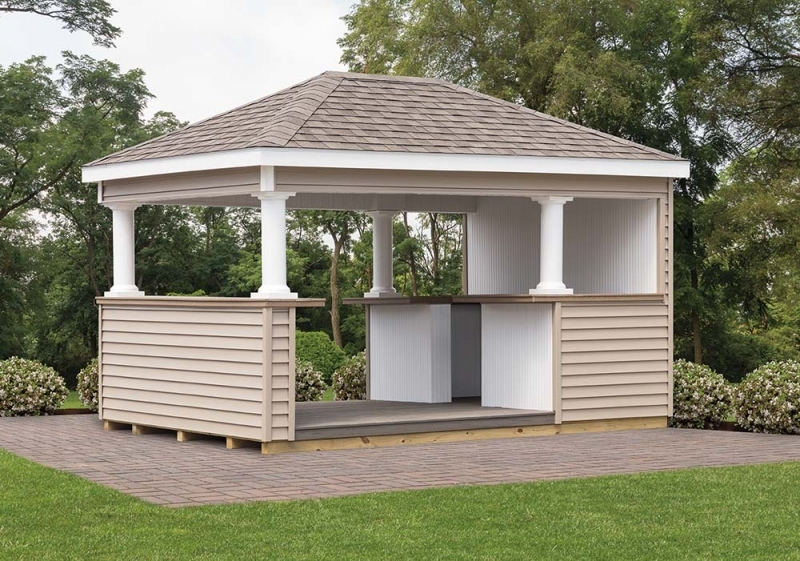 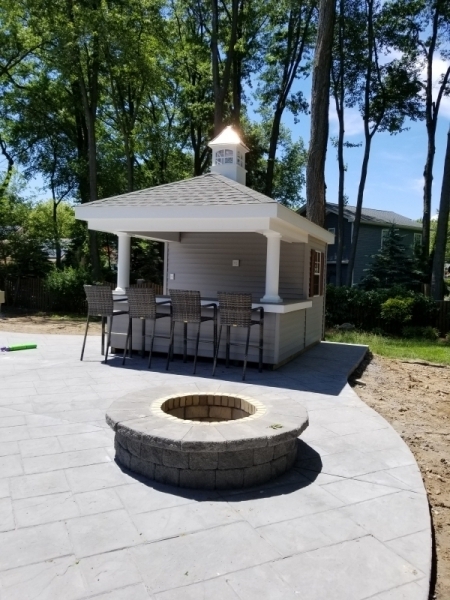 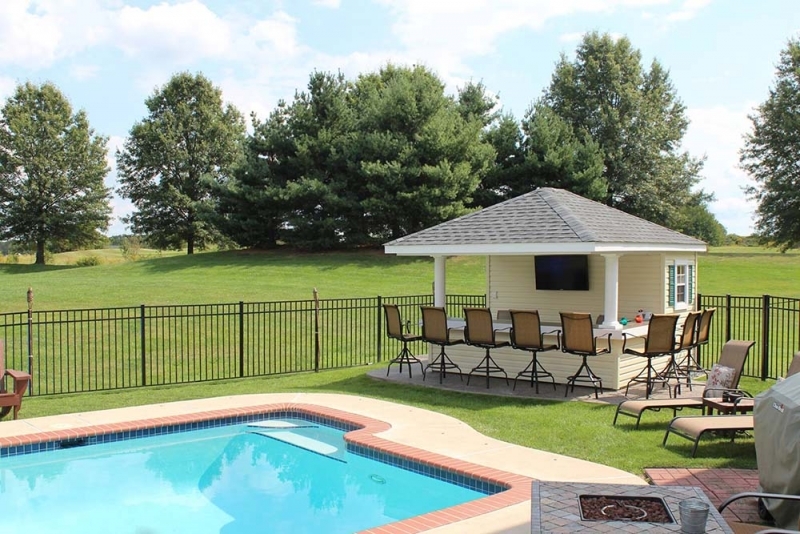 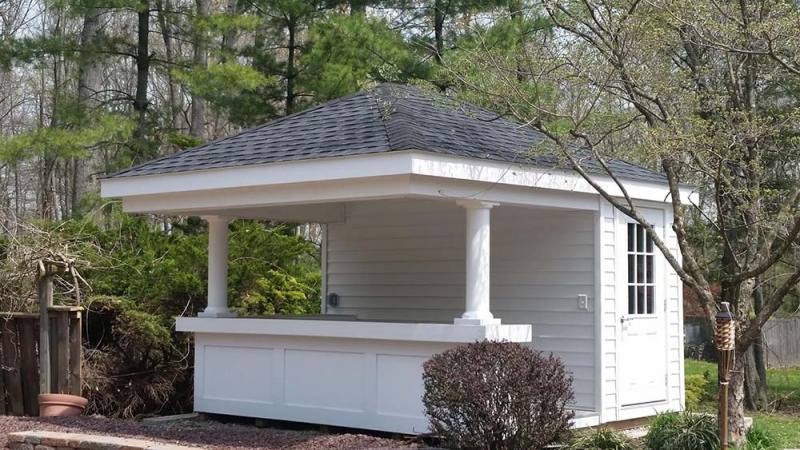 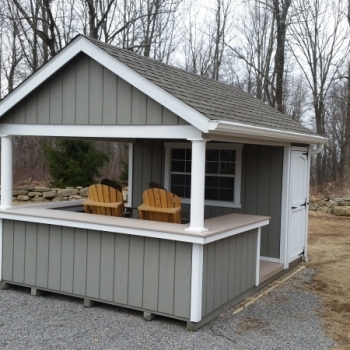 One of the most popular pool house models, this unit is available in both A frame or hip roof design. 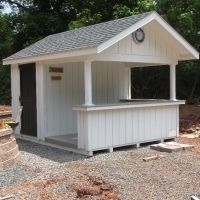 Its part storage and part porch/bar. 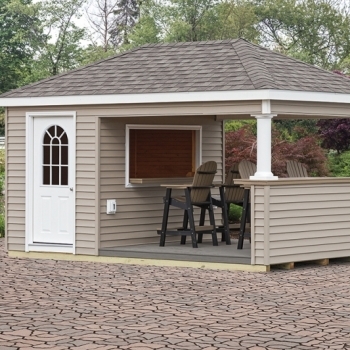 This unit is totally customizable to your desire. 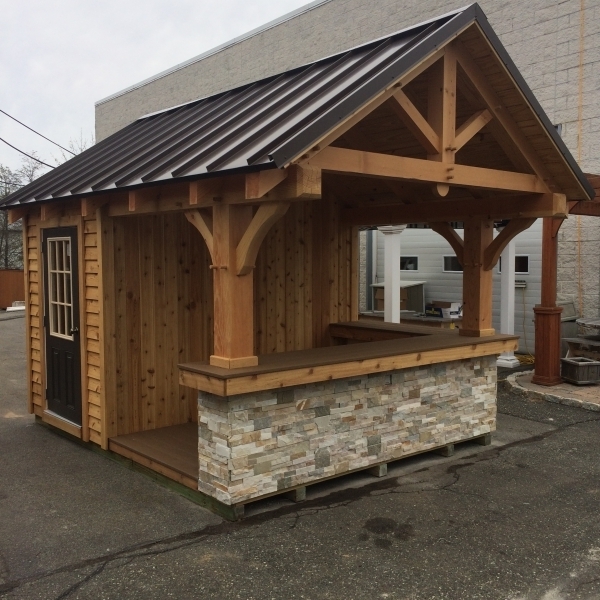 The porch/bar area features trek material and a U shaped counter. 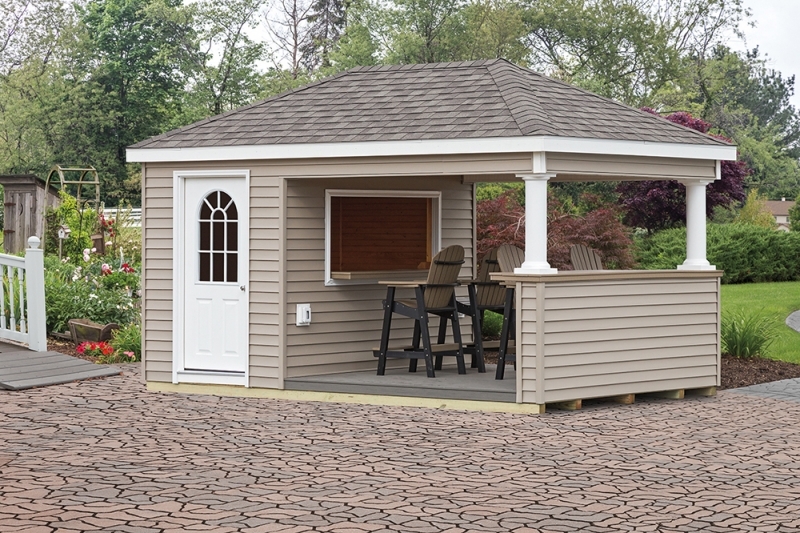 You have your choice of any glass top door and 2 windows 24″ x 36″ trim. 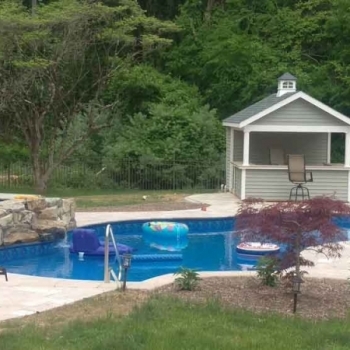 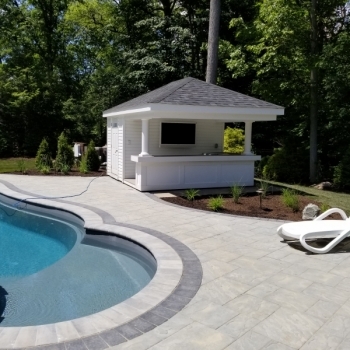 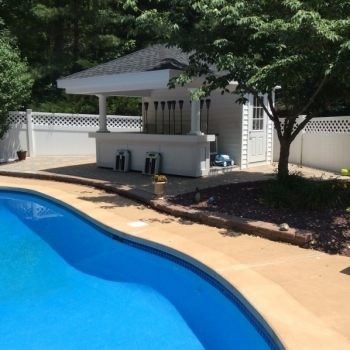 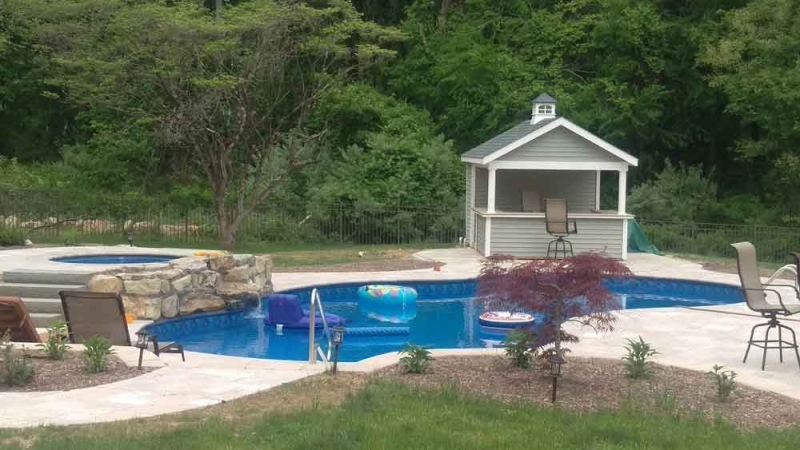 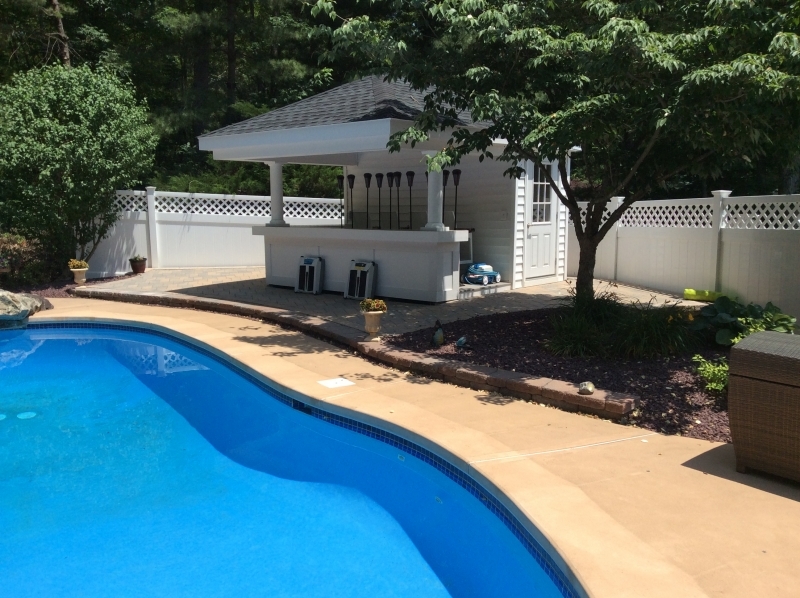 This pool house is standard with painted siding or you can upgrade to vinyl siding. 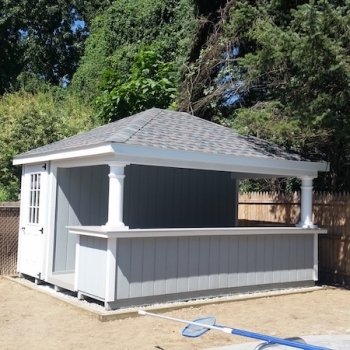 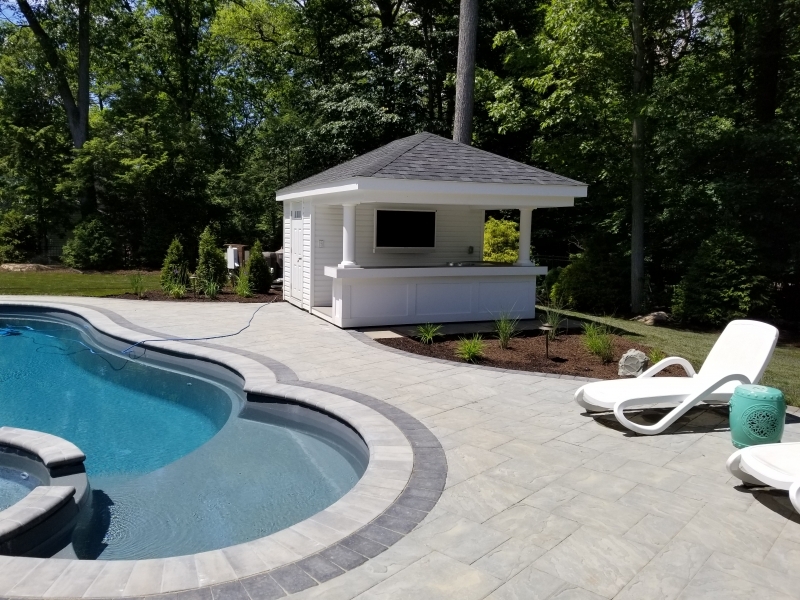 This pool house comes ready and delivered in one piece. 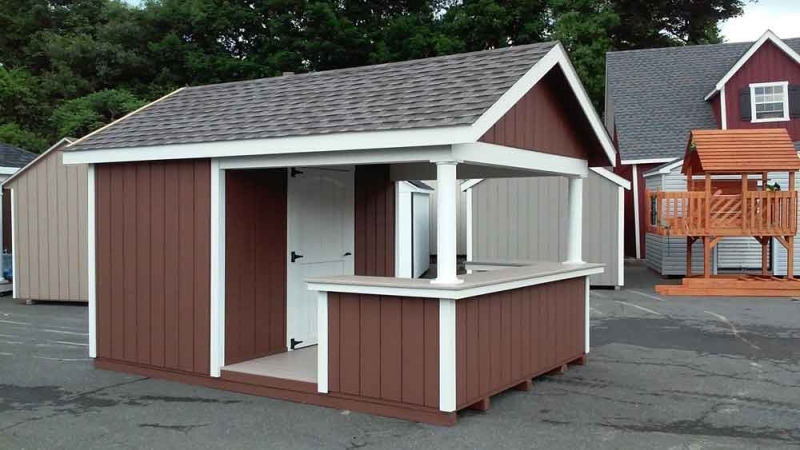 Kits are available and we can build on site. 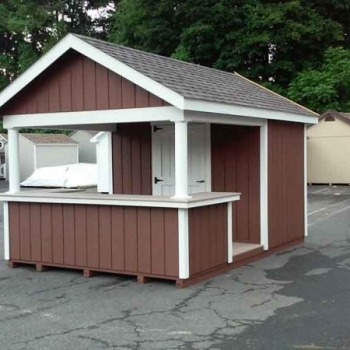 Many other options are available.